poor balance, you have to take this seriously. 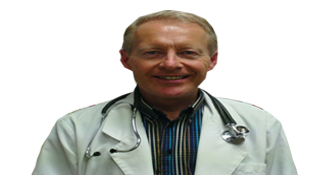 I am a practicing doctor in Calgary and I’ve developed an exclusive neuropathy system that is completely SAFE, has been proven to work, and is non-invasive. It’s based on ‘scientific principles’ that cause internal changes so your body heals. You’ll finally start to get some relief and it’s strictly administered along common-sense protocols by my staff and myself. "I had neuropathy and I was losing sensation in my feet. You have a chart on the wall here that really drove it home and I eventually saw it. It talks about it being something that’s a progression and there is no end to it and it just gets worse. I met you, we got together and we’ve been working for about 3 weeks on this thing and the difference I’m experiencing after this length of time is absolutely incredible. I can feel movement in my feet that I couldn’t before. I can feel different surfaces with my feet that I couldn’t before. I can walk more easily then I could before. This is all after just a few short weeks. Whatever you are doing let’s keep doing it I can definitely see some improvement." - Don S.
“My feet were numb on the bottoms near the toes and on the pad of my foot and I had no feeling at all. It just felt like leather on the bottom. Since you’ve been using that new thing on them I’ve started to get feeling in my feet, I feel cold on my feet when I step on something cold. I could put them in really hot water and did not feel them either. I’m feeling heat now. I’m getting more feeling in my feet and my ankles don’t swell like they were swelling.” - Audrey A.